When hardware carrying Pipe Ten’s or their customer’s data, is no longer usable due to age or failure, the policy within outlines how it is securely stored and disposed of. 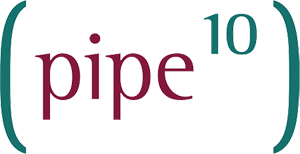 This policy applies to all Pipe Ten Hosting Ltd owned and/or operated devices, where Pipe Ten Hosting Ltd has ultimate responsibility for the device/medium. Digitally wiped following the Data Destruction Policy. Logically labelled for hardware destruction within asset tracking. Physically labelled for hardware destruction. Placed within the designated secure storage area. Physically disabled by way of single punch deformation. Re-Retained within the designated secure storage. Collected by the contractor for certified physical destruction and recycling to CESG ­Lower standards. Logically labelled as destroyed within asset tracking on receipt of waste transfer note and data destruction certificate from contractor. In the even of disk failure, where the disk has suffered some kind of hardware failure and cannot be subjected to the standard policy procedure. All staff members carry out the standard policy procedure and data destruction policy but take special care with the disk in transit from DC to Crushing facility as there may still be data present on the disks. Customers requiring IL3 or IL4 / CESG­ Higher physical destruction standards must notify Pipe Ten prior to use so special arrangements can be made.